It was a beautiful day on August 16, 2014. Not only was the weather a perfect 82 degrees there was a refreshing breeze and only a few clouds in the sky. It also marked the day that Nicole and Shane Trexler got married. 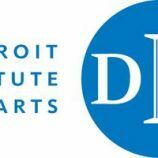 The couple’s reception was held at the Detroit Institute of Arts, also known as the DIA. 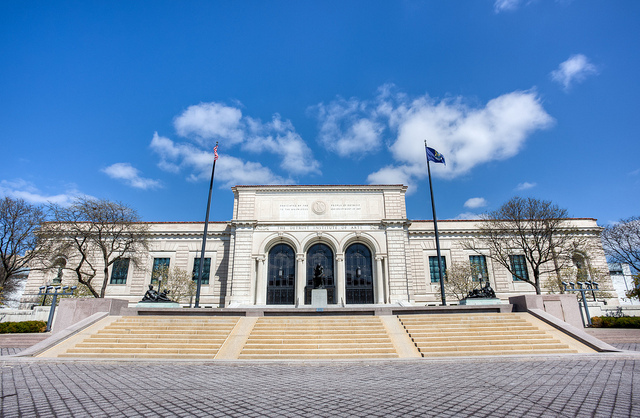 The DIA was founded in 1885 and is located on Woodward Avenue in downtown Detroit. “The museum covers 658,000 square feet that includes more than 100 galleries.” The DIA is a historical monument that provides the public the ability to witness history of many different cultures in amazing art form. Not only is this venue of great beauty and a huge value to the residents of Detroit, it’s also an amazing spot for a Michigan wedding reception. Prior to the event DJ Joe from Music Box Productions stated, “Going in I was anxious about the dance floor outcome because of the decibel restrictions the DIA has to follow.” Due to the DIA being over a century old, the music played at the event can only reach the maximum of 90 decibels. This restriction poses concern for most Wedding DJs because a volume limitation could potentially impact the outcome of the celebration. Joe however, was determined to find a way to uphold Music Box’s standards of excellence while satisfying the DIA’s requirements. Being resourceful, Joe downloaded a decibel meter app to his smart phone and to his surprise, 90 decibels turned out to be pretty loud. In fact, even when the dance floor was bumping Joe stated that they never exceeded 84 decibels! It was evident as the guests filled the dance floor, that a decibel limitation wouldn’t stop them from having a great time. Joe Frontera has been with Music Box Productions for almost 15 years and he stressed that this was one of the best venue experiences of his career. It’s not every day that a DJ has such a wonderful encounter with a venue and their staff that they stop and write about the experience to share with their fellow Music Box DJs.